May 29, 2013 August 4, 2017 / Julie Brook, Esq. The trial is over, but don’t let down your guard yet: never underestimate the importance of the jury instructions. 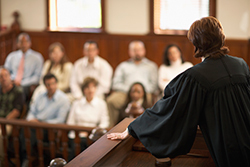 A prejudicial error in jury instructions can mean a new trial or a reversal of judgment. CCP §475. A model from the TV show The Price if Right learned this the hard way when she saw her $8.5 million judgment reversed because the jury instruction was wrong. ___ Review CACI, BAJI, and other form instructions before drafting instructions to see whether any of them fit the issues in the case. Make sure to check for recent revisions of CACI, BAJI, or other form instructions in the pocket part. ___ Ascertain who bears the burden of proof on each issue or element of each claim and affirmative defense, and prepare burden of proof instructions. See CACI 200. See also BAJI 2.60. ___ When drafting original instructions, use simple language, cite authority accurately, and read the instructions to nonattorneys to make sure the jurors can understand them. ___ Prepare a list of CACI, BAJI, and originally drafted instructions you plan to give in the case and compare this list with the substantive issues involved. Make sure all instructions necessary to cover the substantive issues are ready to submit. ___ Remove instructions that are repetitive or cumulative and that do not accurately recite controlling law. ___ When certain instructions are essential to your case, be prepared to offer alternative instructions if the trial judge refuses your initial proposal. This is critical on appeal because the court of appeal will ask you what instruction you offered as an alternative. 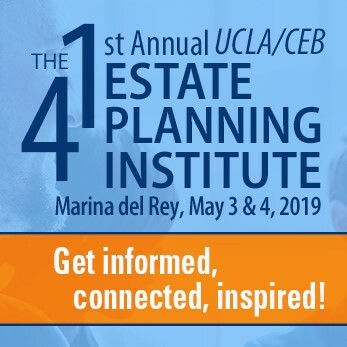 To get the details on everything in this checklist, turn to CEB’s California Trial Practice: Civil Procedure During Trial, chap 20. For those who practice criminal law, check out Mandatory Criminal Jury Instructions Handbook from CEB and CJER. You should be preparing jury instructions well before the trial. They are a guideline for discovery and preparing your case. Also, you don’t have time to be researching and writing instructions at the end of the trial. Most courts have local rules on how proposed jury instructions are to be formatted. Check the rules. For the newbies: Do not be cowed by the judge rejecting a proposed instruction. You must object to preserve the issue for appeal. All good suggestions. My former and now departed partner used to tell me that his former partner (must have been in 40’s and 50’s) always drafted his instructions at the inceptions of the case. That is probably earlier than most will consider but is a very good practice. As you say, at the end is too late. Most jurisdictions and federal practice require submission of instructions no later than the pretrial and often ten days before. We make it a practice filing written objections to the opponents instructions and always vouch the record at trial after the final version has been published by the court but before the jury returns to preserve error. One other very difficult thing in addition to the list above: Read the instructions from the point of view of layperson jurors, using THEIR common meanings. For instance, banish the word “may”– it either means “is permissible” or “might occur,” and counsel shouldn’t leave it to the whims of strangers to determine it. Say what you mean. “Reasonable” is a word that gives laypeople fits; first off, mostly they think it means “moderately priced,” as in “a reasonably priced meal.” (This is true.) When they figure out it doesn’t mean that, it is very troublesome for them. “Substantial factor” in the negligence instruction is nearly universally interpreted by laypeople to mean that the act must be MOSTLY responsible for causing harm, not just one non-trivial factor (in other words, it misstates the law of negligence for laypeople). Besides scrubbing carefully for words that will trip up your jurors, look at sentence structure. Subordinate clauses cause problems. If your sentences can look more like Hemingway (nouns and verbs in simple sentence structure) and less like James Joyce (word salad all over the place, with commas strewn like caraway seeds), you’re much better off. 1. THAT IS A FALSE CHOICE! An instruction can state the law perfectly AND be comprehensible to laypeople. 2. IT DOESN’T HELP YOU; IT HURTS YOU! If you are choosing devotion to some platonic ideal of stating the law versus equipping the people you’re asking to help your client with the very tools they need to provide that help, you are making a mistake. to juryology: You are quite right. The trouble is trying to get a judge to divert from the language of the standardized instructions, as confusing as they may be. Hi, Mitch. Thanks for your comment. Yes, you are quite right about judge reluctance on that. (To that end, I volunteer on the committee of the state bar’s Litigation Section that gives feedback/public comment on changes to the proposed revisions of form instructions– trying to make the improvements in readability and relatability at the source.) I was thinking more of the instructions that attorneys draft themselves. I am currently on a similar case where the Judge failed to properly direct the jury which resulted to conviction. Infact, the Judge prejudicially repeated what individual witnesses had said at the trial and there was no direction on points of law at all. Clearly, the jury did not understand the incredients of the case hence the conviction. Could anyone offer any opinion with regards to appealing the conviction as the appeal court similarly overlooked this fundamental aspect of the case as the full transcript of the trial were not made available to the Appeal Court.